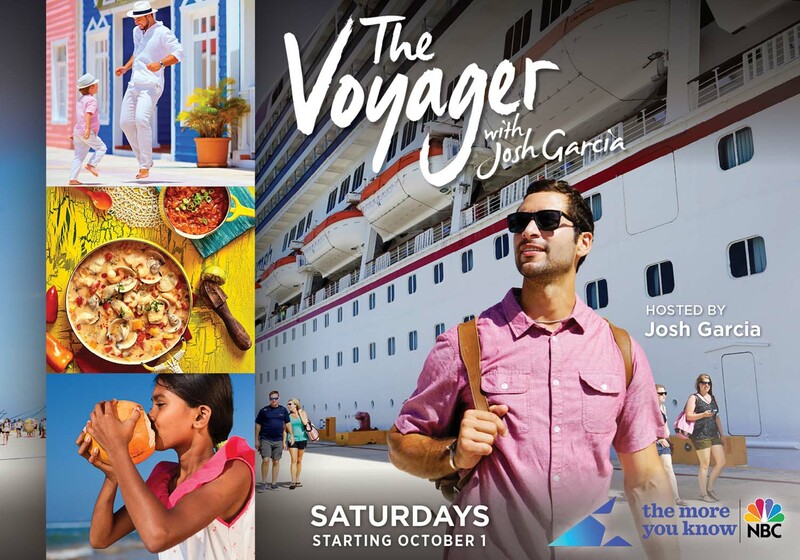 Carnival Corporation creates three different TV shows to be aired on three different national networks in the United States. Three inspiring television shows which have been created by the Carnival Corporation will be aired on ABC, NBC and The CW. The new three tv series will be shown every Saturday morning starting from October 1, 2016. This is the first time a cruise company has ever done anything like this which hopes to inspire millions who watch Saturday morning tv. The three different TV series will feature almost 80 original episodes and will rotate over the next 12 months. Ship destinations will be showcased like never before where celebrity talent will experience adventures all over the world. All of Carnival Corporations ten cruise brands will be included in the shows with one cruise line featuring in at least one episode. This show will broadcast nationally as part of the sixth season of the Daytime Emmy-winning block Weekend Adventure. The show follows Emmy-winning host Jeff Corwin as he embarks on adventures in some of the world’s most exciting destinations, such as repelling down cliffs, flight-seeing to glacier landings, mountain climbing in a national park and zip lining through a rainforest. Ocean Treks will be aired at 9:00 AM on ABC. The Voyager follows video journalist and world-traveler Josh Garcia as he goes off the beaten path in fascinating seaside ports to meet locals who share their rich history, life stories and exotic foods, and introduces viewers to the hidden beauty, cultural diversity and amazing flavors native to each destination. The Voyager will be aired at 9:00 AM on NBC. “Vacation Creation,” featuring “In Living Color” star and comedian Tommy Davidson and YouTube celebrity Andrea Feczko as hosts, goes beyond the typical travel show by personalizing vacations of a lifetime for couples, individuals and families facing hardship, in need of hope or seeking much-needed time together. Vacation Creation will be aired at 10:30 AM on The CW. A fourth TV show produced by Carnival will also start on cable in mid-2017. We can expect further details to be announced closer to the time.